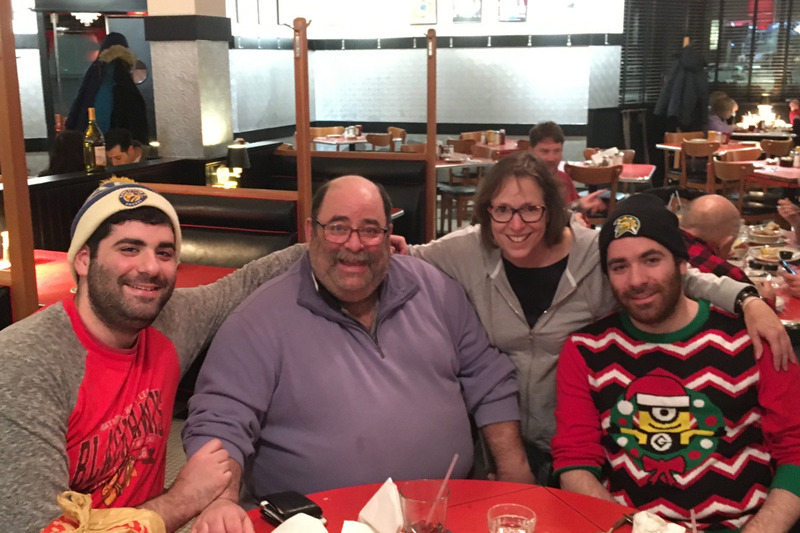 Andy Stein was diagnosed with primary central nervous system lymphoma in December 2018. We all hear how life can change in the blink of an eye and Andy's story is proof of that. When he was diagnosed, the doctors told Andy and his family that while his condition was serious, it should respond well to treatment. Unfortunately that has not been the case. His doctors told the family that this is the most aggressive lymphoma they have ever seen. In less than four months, Andy has undergone three brain surgeries as well as chemotherapy, which so far, has been unsuccessful. He's also had two emergency abdominal surgeries due to complications brought on by the drugs used to shrink the tumor. He's about to start another round of chemo and we are all hoping this next round is the miracle he needs. 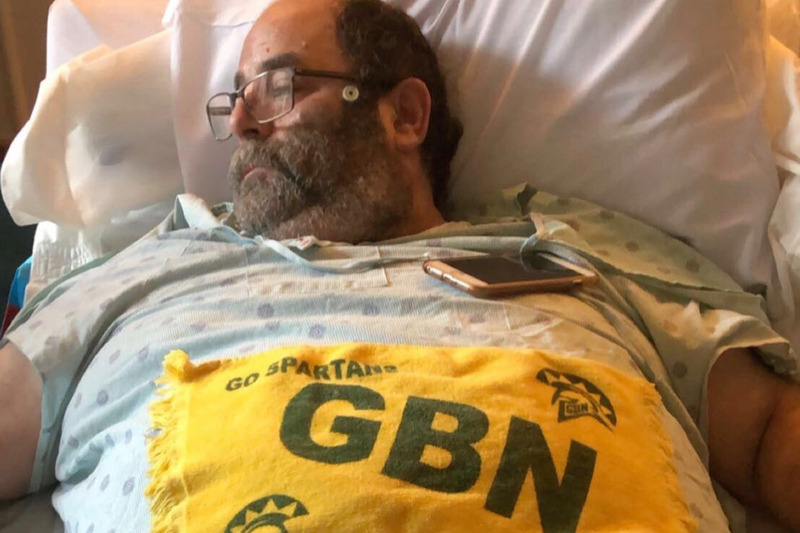 Anyone who knows Andy knows what a huge sports fan he is and that drive to win is coming through as he fights for his life. The purpose of this fundraiser is to help defray the enormous financial stress this has caused Andy's family. We have set up this Go Fund Me account to help in this worthy cause. Please open your hearts and donate whatever you can — we want Andy Stein to know how much he is loved and respected and that he is not alone in this fight. All funds raised will be managed by Andy’s wife, Kay Stein, to offset medical expenses related to Andy’s care and treatment. The Hirschtritt Family, Julie Stevens, Lori Breunig, Nancy Shults, Heather Ratliff, Susan Kalell, Andy Edelson, Christopher Harrison Merritt, John Boidanis, Max Gerber, Michael Blatt, Patrick McNally, Bob Anderson, Sam Povorozniouk, Bear Abramson, Eric Anderson, Al Sagall, Randi Sagall, Sam Berlin. To Team Andy: This update is delivered with great sadness and a heavy heart. Andy lost his hard-fought battle early Thursday morning, April 11th. I know you all join me in wishing the Stein family peace and comfort during this incredibly difficult time. Kay and the boys asked me to convey to you all how incredibly grateful they are for your generosity. As you would expect, they are totally focused on Andy’s care, so they are unable to reach out and thank you each of you individually. But please know they are touched by all who have supported #TeamAndy. While the family has felt blessed by the support, it has not been an easy week. On Sunday evening Andy was rushed to the hospital and ultimately required another emergency surgery. The doctors feared he would not survive, but Andy’s indomitable spirit kicked in yet again and he is now recovering and regaining the strength he needs for ongoing treatment. I am sorry the updates have not been frequent, but please know that your support has meant so very much to the family and to #TeamAndy.